The Climate Knowledge Brokers (CKB) Group is a growing alliance of currently around 400 leading global, regional and national knowledge brokers specialising in climate and development information. It brings together a diverse set of information players, from international organisations to research institutes, NGOs and good practice networks, and covers the full breadth of climate related themes. The CKB Vision is a world in which people make climate-sensitive decisions fully informed by the best available climate knowledge. In September 2015, CKB released its Manifesto, a milestone publication and call for joint action to meet the massive climate knowledge challenges ahead in the post-Paris world. It sets out a vision of a world in which people make climate sensitive decisions fully informed by the best available climate knowledge. 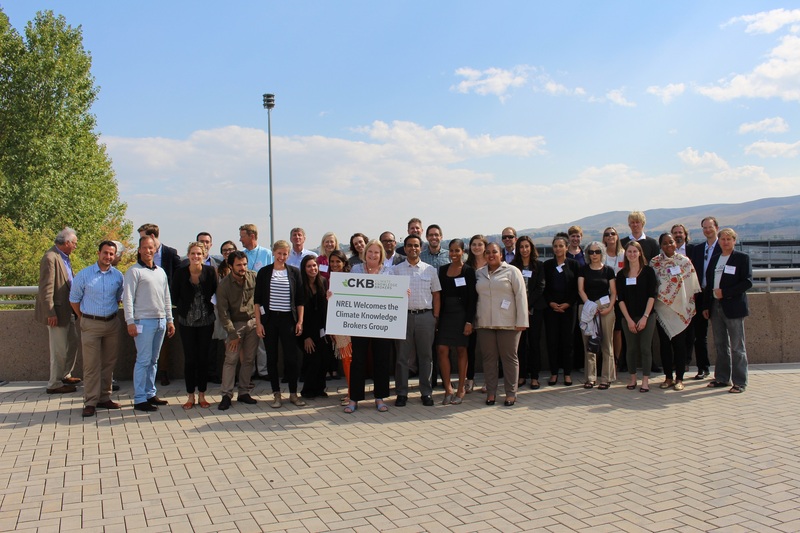 The CKB Group was formed in 2011 at a workshop held in Eschborn, Germany, to explore the scope for closer collaboration between online knowledge brokers working in the climate and development sectors. Convened by CDKN, GIZ and PIK-Potsdam, it brought together 21 leading web initiatives. The workshop proved highly successful, demonstrating a keen appetite for closer collaboration and generating a range of ideas on how to make this happen in practice. A second meeting was held in Bonn in May 2012 to take this agenda forward, and a follow-up workshop was held in Washington, in November 2012, hosted by the World Bank. The third annual CKB workshop was held in Bonn in June 2013, and in the years following that, the workshops took place in Brighton, UK and Copenhagen, Denmark. The sixth annual CKB workshop was hosted by the US National Renewable Energy Laboratory (NREL) in Golden, Colorado, in September 2016.